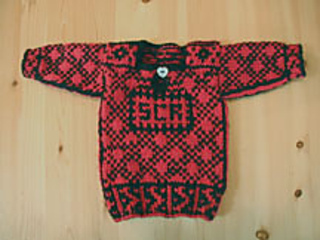 The full name of this pattern is the Swedish North Halland Red and Black Man’s Pullover. 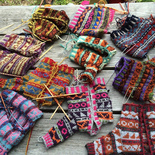 The pattern is taught in a two day class by Beth Brown-Reinsel. It is a sample pattern that includes all the skills that one needs to design and knit a full size sweater.